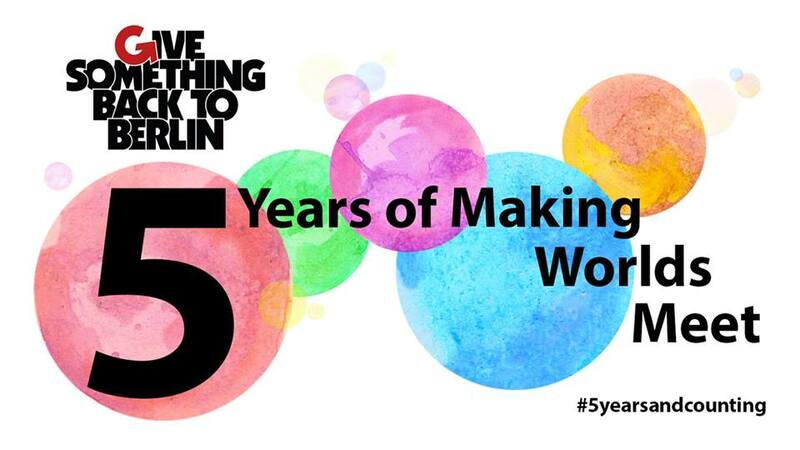 It’s time to celebrate Give Something Back To Berlin’s 5th anniversary! This year’s end of year party is going to be a special Anniversary, bringing together old and new friends, projects and activities built up over five years making worlds meet working together for a better city. Please join us on December 11 at 18:30, inside Refugio Berlin, Lenaustrasse 4, 12047 Berlin, for a drink, a dance and some delicious multikulti treats.